You are currently browsing the archive for the Tony Schwartz category. 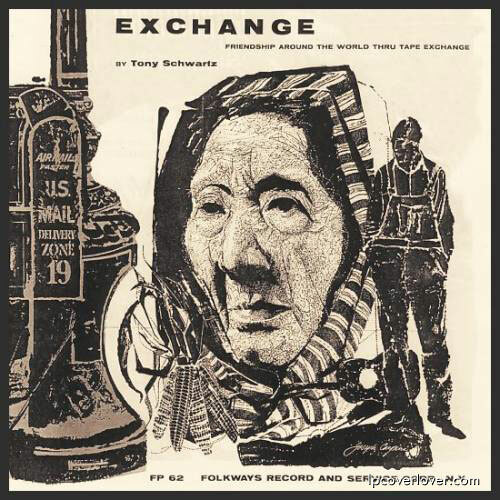 Exchange on Folkways Records. “Friendship Around the World Thru Tape Exchange” Tony Schwartz, the father of the mixed tape! Tony was homebound but traveled the world through the audio recordings he traded for with friends around the globe. Long before the web brought people together with instantaneous communication and digital recordings and downloadable files, Tony built a network of like-minded anthropologists, sociologists and collectors. Is he talkin’ to me? 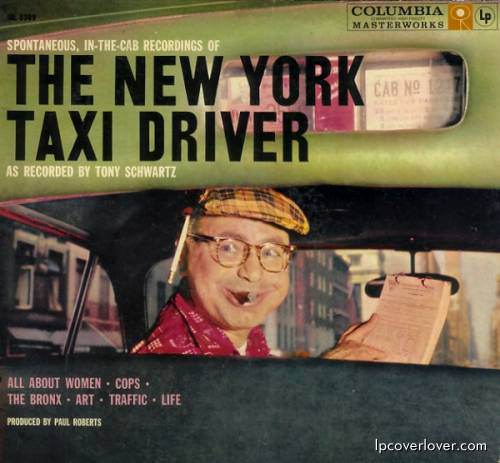 Long before Taxi Driver the movie… “Spontaneous, in-the-cab recordings of The New York Taxi Driver as recorded by Tony Schwartz.” Columbia Masterworks Records. Tony Schwartz, acknowledged master of electronic media, has created more than 20,000 radio and television spots for products, political candidates and non-profit public interest groups. Featured on programs by Bill Moyers, Phil Donahue and Sixty Minutes, among others, Schwartz has been described as a “media guru”, a “media genius” and a “media muscleman”. The tobacco industry even VOLUNTARILY stopped their advertising on radio and television after Schwartz’s produced the first anti-smoking ad to ever appear (children dressing in their parents’ clothing, in front of a mirror). The American Cancer Society credits this ad, and others that followed, with the tobacco industry’s decision to go off the air, rather than compete with Schwartz’s ad campaign. Born in midtown Manhattan in 1923, a graduate of Peekskill High School (1941) and Pratt Institute (1944), Tony Schwartz has a unique philosophy of work: He only works on projects that interest him, for whatever they can afford to pay. Because of his interest in social issues, if he were to apply his commercial rate to the work he volunteers, it would amount to the equivalent of $450,000-$500,000 per year to these causes. For many years he has been a Visiting Electronic professor at Harvard University’s School of Public Health, teaching physicians how to use media to deal with public health problems. He is also teaching at New York University and Columbia and Emerson colleges. Because Schwartz is unable to travel distances, he delivers all out of town talks by 2-way telephone. Schwartz is a frequent lecturer at universities and conferences, and has given presentations on six of the seven continents (not Antarctica). He holds honorary doctorates from John Jay, Emerson and Stonehill Colleges. “Documenting life in sound and pictures” is something Tony Schwartz has been doing since 1945, when he bought his first Webcor wire recorder and began to record the people and sounds around him. From this hobby developed one of the world’s largest and most diverse collections of voices, both prominent and unknown, street sounds and music, a collection that resulted in nineteen phonograph albums for Folkways and Columbia Records. Schwartz began to do commercials for national advertisers, in which he revolutionized the industry by being the first one to ever use real children’s voices, as opposed to adults imitating children, in radio and television ads. From commercials involving children, he moved to general advertising, everything from Coke to airlines, political campaigns and public interest media— every ten years, Schwartz’s sphere of interest expands to include new directions and new challenges, as well as continuing the old. Schwartz has created the media campaigns of over 200 candidates, including the winning 1976 presidential campaign of Jimmy Carter, the 1964 Johnson presidential election, the campaigns of Abe Ribicoff (Connecticut) and Daniel Moynihan (New York), and selected campaigns of Tom Foley (Washington state), Mike Gravel (Alaska), Bob Hattfield (West Virginia), Edward Kennedy (Massachusetts) Tom Lantos (California), Warren Rudman (New Hampshire) and Andrew Young (Georgia), to name but a few. 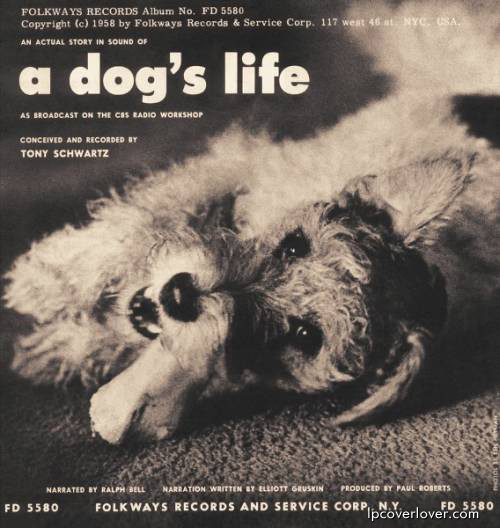 An actual story in sound of “A Dog’s Life” as broadcast on CBS Radio Workshop. Conceived and recorded by Tony Schwartz. Folkways Records. 1958. I had the rare priviledge of meeting and getting to know Tony Schwartz. Once again, my search for records led me to an experience I’ll never forget. Tony responded to an ad of mine that said I buy records. I didn’t know who he was at first, but based on his description of his collection over the phone, I made a date to visit his home on the upper west side of Manhattan. Entering his three-story brownstone was like going into a vault that had been filled over the past fifty years with a lifetime of recordings, recording equipment, books, magazines, artwork, awards and more. File cabinets and rows of boxes packed in tall metal shelving units turned the main floor into a recording studio and home office. Scrolls of audio tape hung from clothes lines criss-crossing the room. A world of sound bites hanging like flypaper strips. Because he has suffered from agoraphobia his entire adult life, Tony has rarely strayed far from his home and this home production office. Due to this fear of leaving home, he began to trade audio tapes with pen pals and like-minded amateurs recording sounds from their daily lives — girls skipping rope and singing schoolyard songs, taxi drivers’ ranting, slave songs, South American frogs croaking, street performers (I think Tony was one of the first to record Moondog), and more from countries around the world. Tony’s record collection was on the third floor and it was legendary! 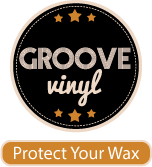 It included many fifties Folkways records, incredible sound effect and sound library records, spoken word records – from Eldridge Cleaver to Alan Ginsburg to Tony’s friend and co-writer Marshall McLuhan. 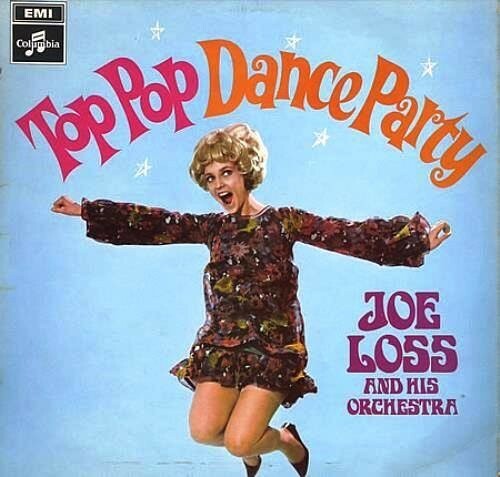 Tony’s collection also included lots of international and world music records and, strangely perhaps, many sixties rock and psych records by groups such as The Mothers, The Fugs and The Chocolate Watchband. I spent many hours and days absorbing this collection and discovering recordings I never new existed. Even after buying Tony’s collection, I returned to visit with Tony, his wife and son and to just listen to the amazing stories that Tony told about a life dedicated to education and to bringing integrity and art to radio and TV advertising for the past fifty years. I urge you to read about Tony and his amazing life and career. He has done as much as anyone to use media to affect positive change in the world. He has created some of the most effective public service advertising ever. Around this time, Tony invited me to a tribute to him at the Museum of Broadcasting. I’ve added a category for Tony Schwartz’s records on the site will continue to post his records in the future.